Modern amenities in the heart of the city. Ideally located in the city center, just steps from Richmond Convention Center and the Virginia State Capitol, Hampton Inn & Suites Richmond - Downtown offers the perfect resting spot for business travelers and convention attendees. If you’re travelling with family, nearby attractions include Richmond Coliseum, as well as Segway and trolley tours just six blocks away. 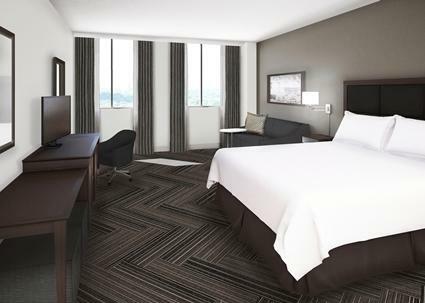 Make yourself at home in one of our spacious guest rooms or suites. 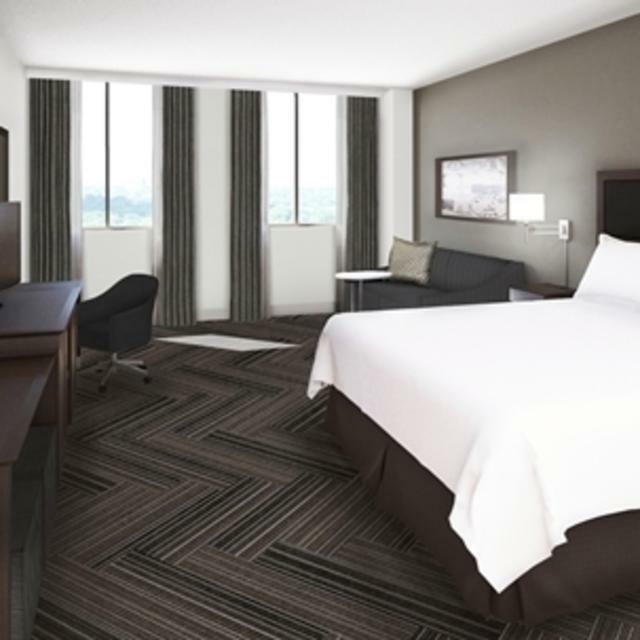 We offer more space than typical guest rooms and each room boasts picturesque views of the city, free WiFi, an HDTV and a clean and fresh Hampton bed®. Upgrade to a suite for an even better view of the city skyline and James River and enjoy extra space with a kitchenette and sleeper sofa. Join us each morning for Hampton’s free hot breakfast or pick up a free Hampton On the Run® Breakfast Bag on your way out the door, available Monday to Friday. Our modern Downtown Richmond hotel also offers excellent onsite amenities including an outdoor rooftop pool and rooftop lounge, fitness center with views of the city, and over 7,000 sq. ft. of flexible meeting and event space.